all over the world. Internet addiction is affecting about 6 % of the world population. In Asia the addiction is about 20 %.Despite the restriction and ban of certain sites in middle east, it is still a bigger problem. 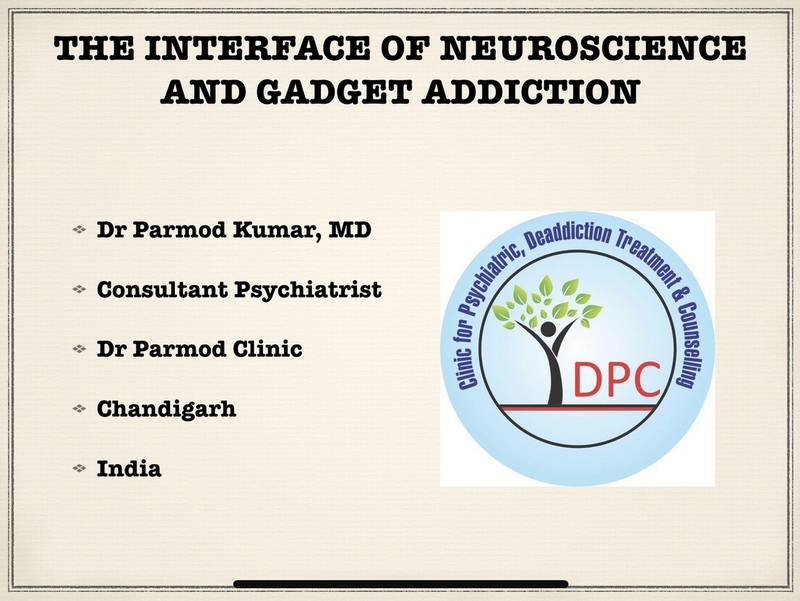 Dr Parmod Kumar from Dr Parmod Clinic, Chandigarh delivered his invited talk at the annual conference of Emirates society of Mental Health at Dubai on 21/03/2019. The gadgets are becoming addictive and producing permanent changes in the brain structures and functioning. The research has enough evidence to prove that it is causing a tremendous amount of damage to the person, family and society at large. It is also the cause of various psychological and relationship problems. The solution lies in its limited use, controlling screen time, display accommodation, and be role model for family & society. The excessive use can lead to digital dementia and Insomnia as well. It is advised to switch off Mobile phone atleast an hour before sleep and not to use immediately after waking up. it is advised to use sensibly and for a maximum of 45 minutes a day. 90 % of its use is actually misuse to abuse. Internet is always going to stay for its benefits. However risks is extremely high as compared to benefits. Use cautiously before it become an instrument of mass destruction. 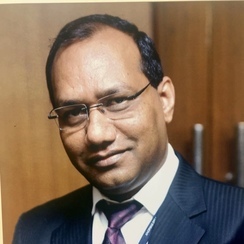 Disclaimer: The articles/blogs/write-ups uploaded in this Virtual Practice are copyrighted property of Dr. Parmod Kumar and/or its associated team users. Copying, reproducing, modifying or disseminating the posts (in whole or part) in any form, media, or technology now known or later developed, including for promotional and/or commercial purposes, and to authorize others to do so, is strictly prohibited.